In our view, "Agency" is more than just initiative or ownership. It’s a powerful concept and tells us how much a child is engaged and in control of their own learning, how much control they have over what is around them, and it requires us to question our own expectations of them in that process. It’s about children facilitating their own learning and how we adults see that, allow that and plan for it. Stopping to really listen to children is more than just asking questions - it requires respect as well as thoughtful and authentic consideration. Giving children agency at Kindergarten means that we are genuinely including them in the direction we take each and every day. The journey is meaningful to all because it truly reflects those who take it. This is an ongoing endeavour for us. Copyright © 2019 Broadbeach Waters Kindergarten. Powered by . 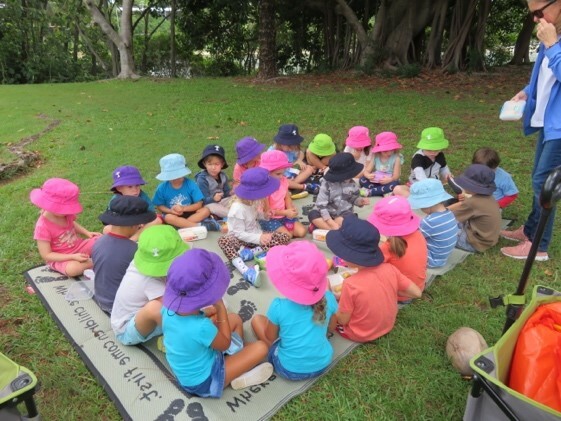 Broadbeach Waters Kindy .